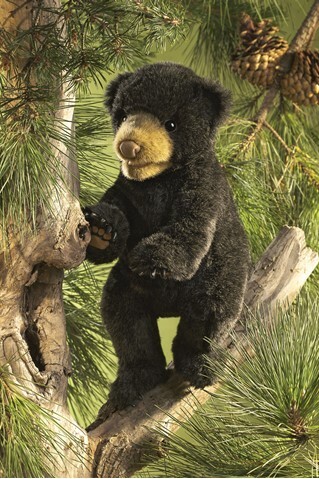 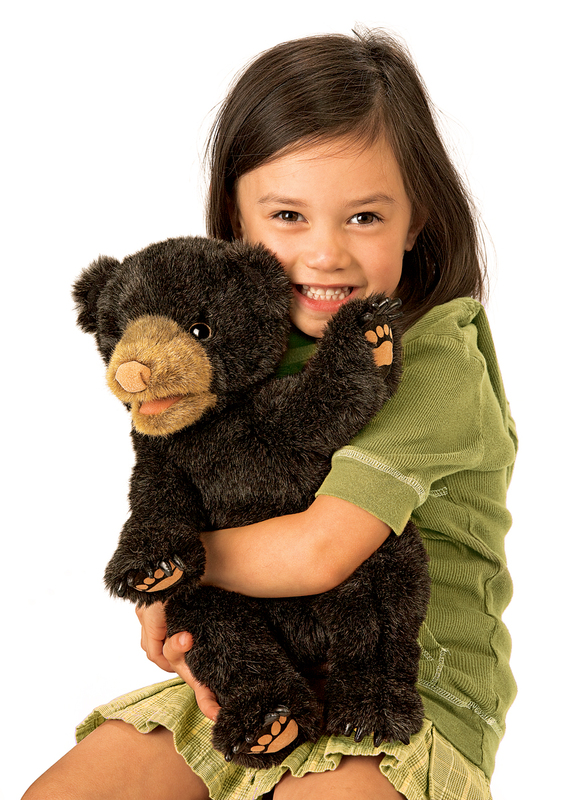 The Folkmanis BLACK BEAR CUB is an unbearably cute 15-inch puppet. 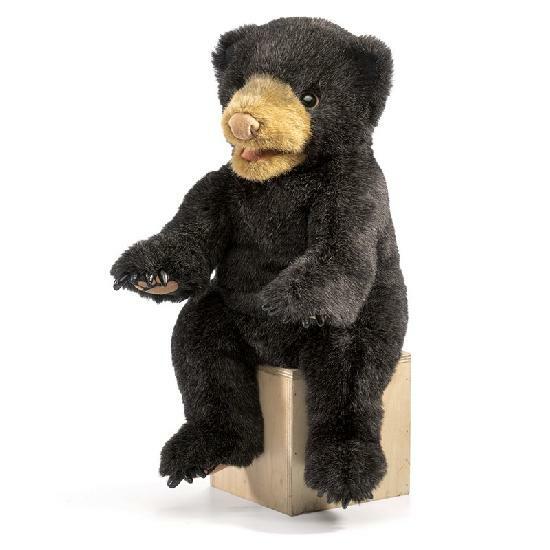 Just the right amount of stuffing makes this cub a snuggly teddy bear but with additional play value-it has a movable mouth and front paws. 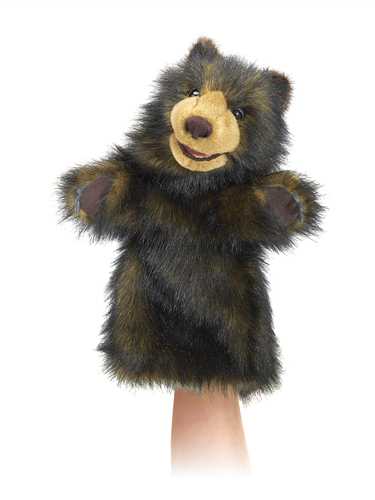 Made of silky soft fabric, Black Bear Cub has safe, soft, vinyl claws, a smooth, suede-like nose and paws and a contrasting brown snout. 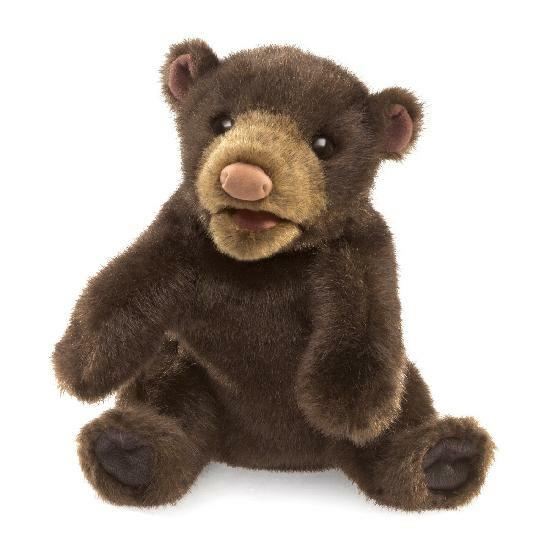 His facial features bring an innocence only found in little cubs. 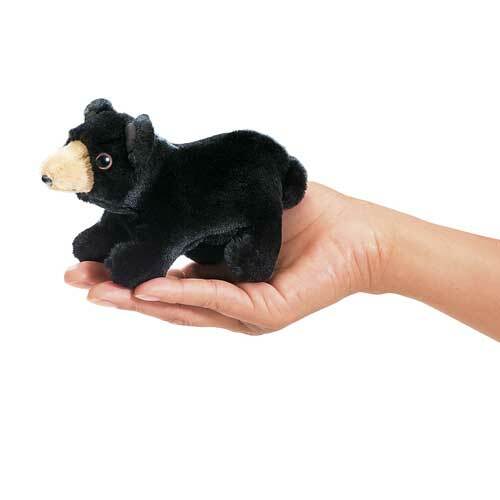 Black Bear Cub is Grrrreat!